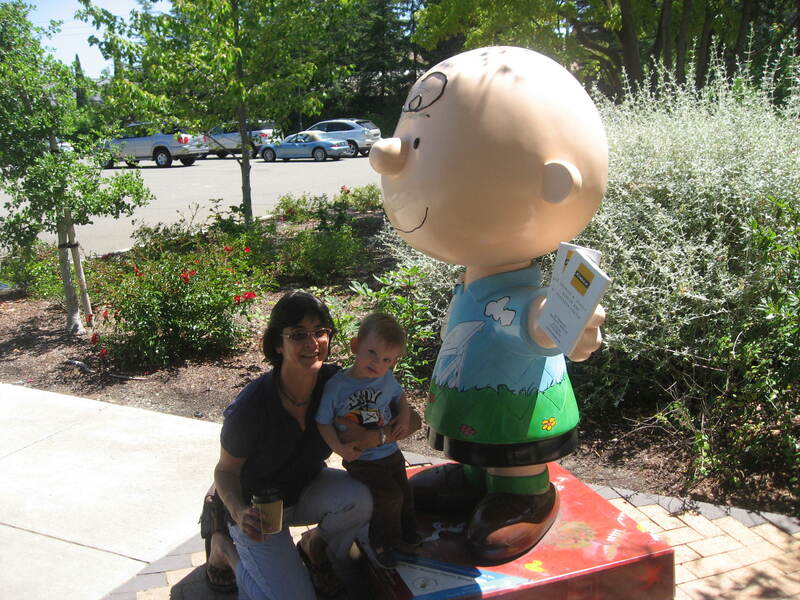 its made of Fiberglass Charlie Brown! Today O and I went to the Charles M Shulz Museum in Santa Rosa with our neighbor, Ceylan. We had optimistically hoped to take advantage of Museum Mondays, from 10 am – noon, which have activities for 1-5 year olds. The only problem with our plan: we picked the wrong Monday. Not to be deterred, we visited the gift shop, which features Peanuts paraphernalia and a cool mini-exhibit on the second floor. 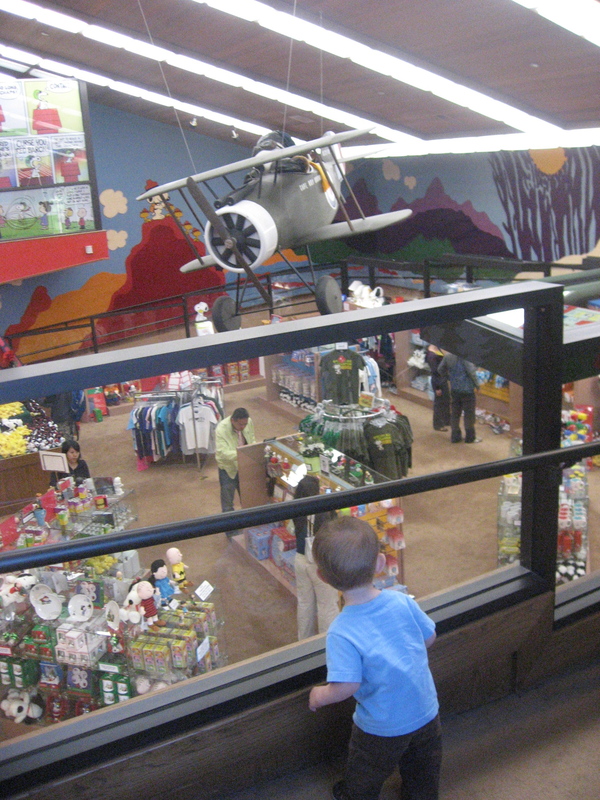 The large ramp leading to the second floor was the highlight of the gift shop trip, O nimbly raced up and down it, pausing occasionally to peer down at the shoppers below. 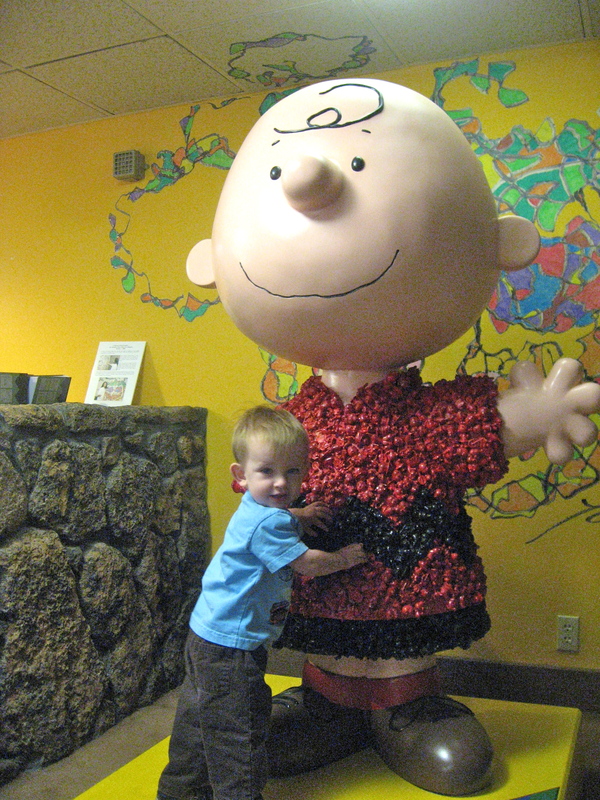 He also took time to feel the rather creepy fiberglass sculpture of Charlie Brown that was clothed in painted mini-Charlie Brown figurines. 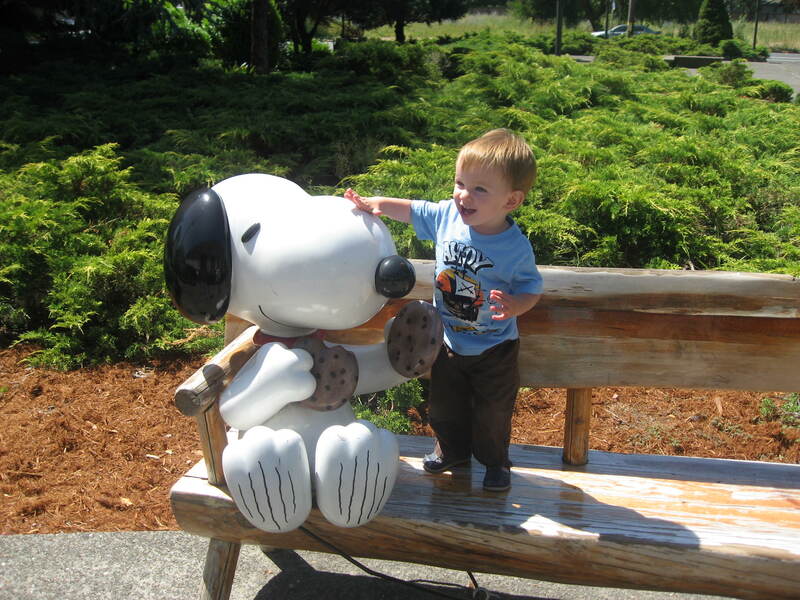 When O grew bored of the gift shop we headed outside to the plaza in front of the Warm Puppy Cafe and Snoopy’s Home Ice. We had Second Breakfast (or in Ceylan’s case, first breakfast), and explored the plaza. O investigated the fiberglas sculptures, practiced on the stairs, and had yet another snack. 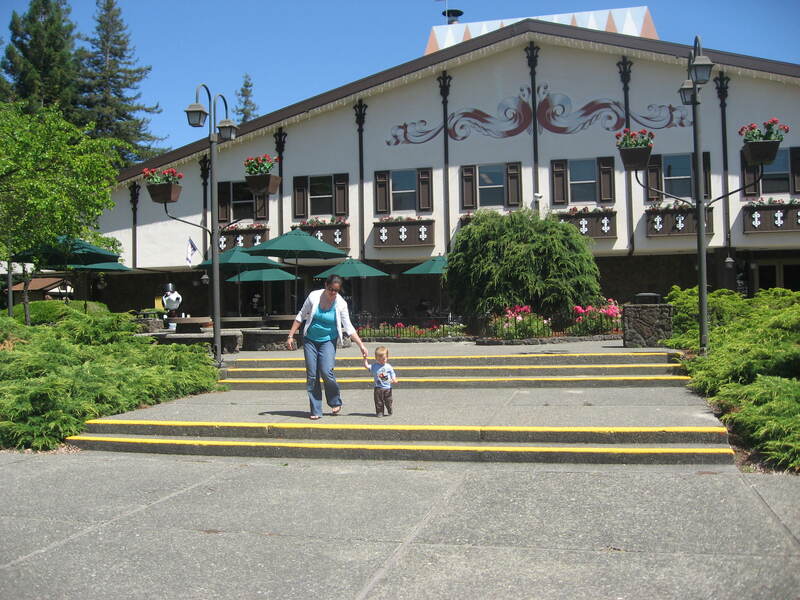 Ceylan showed O how to toss pennies into the fountain (O refused to let go of the penny), and they explored the redwood grove. 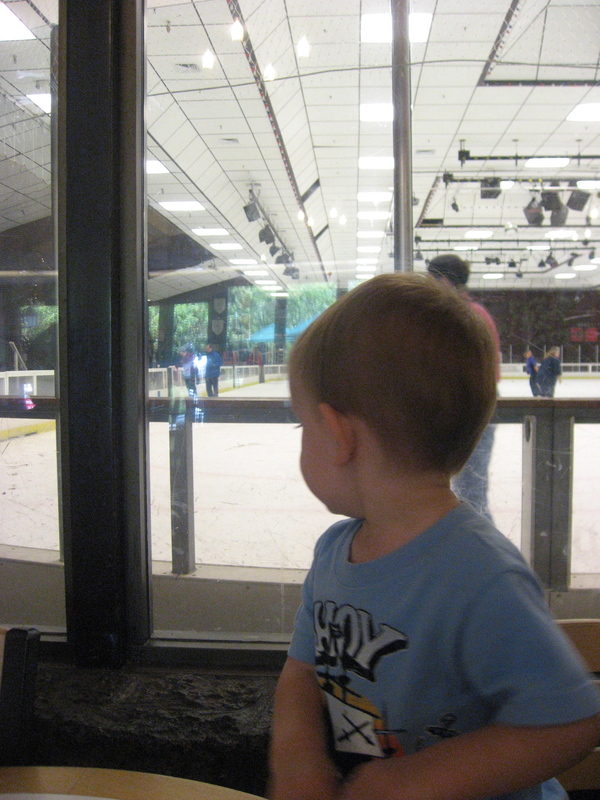 Ceylan had “completely missed” the ice rink so we went back into the Warm Puppy Cafe and watched the skaters go by. In a few years O can have a try at ice skating. 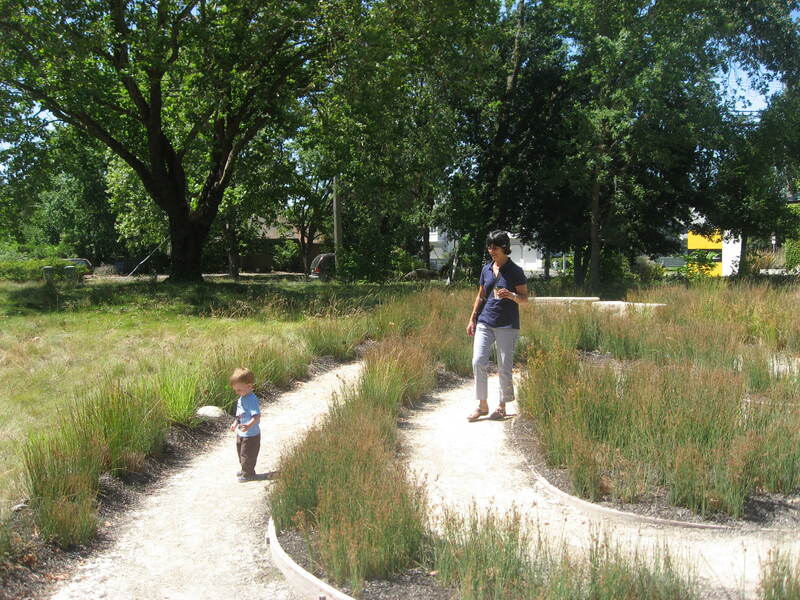 O was only interested in skaters for so long, so we went back out to the Snoopy Head Labyrinth where there was lots of gravel to play with, and a labyrinth to explore. 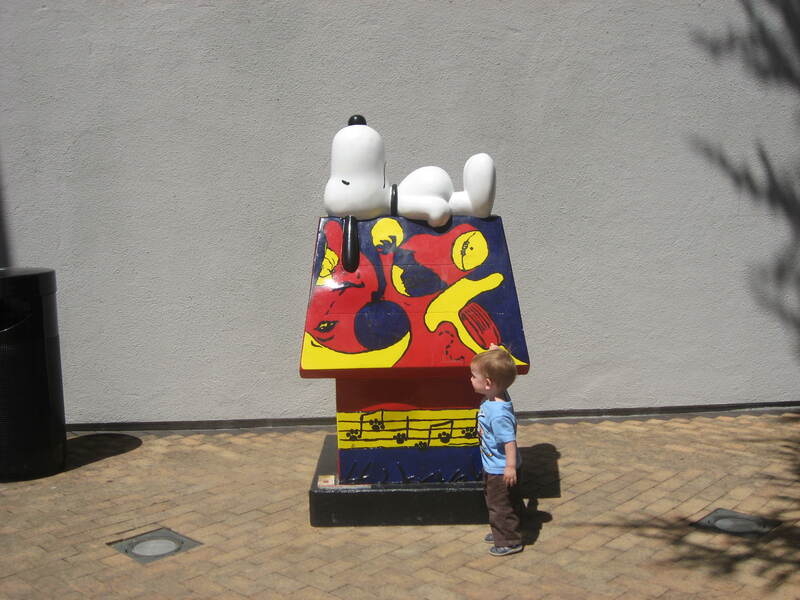 O also had to check out the Snoopy on the Doghouse fiberglass sculpture. Oliver, Ceylan and I had so much fun today that we’re going to try and go again next Monday – this time we hope to participate in the kiddy activities too. 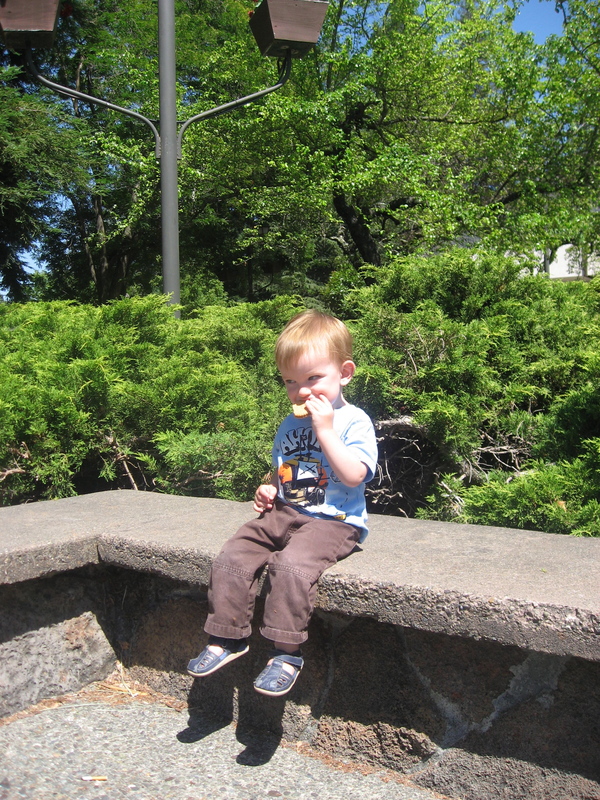 More photos of our adventure at the Charles M Shulz Museum can be found in O’s 17 month album at my Picasa. 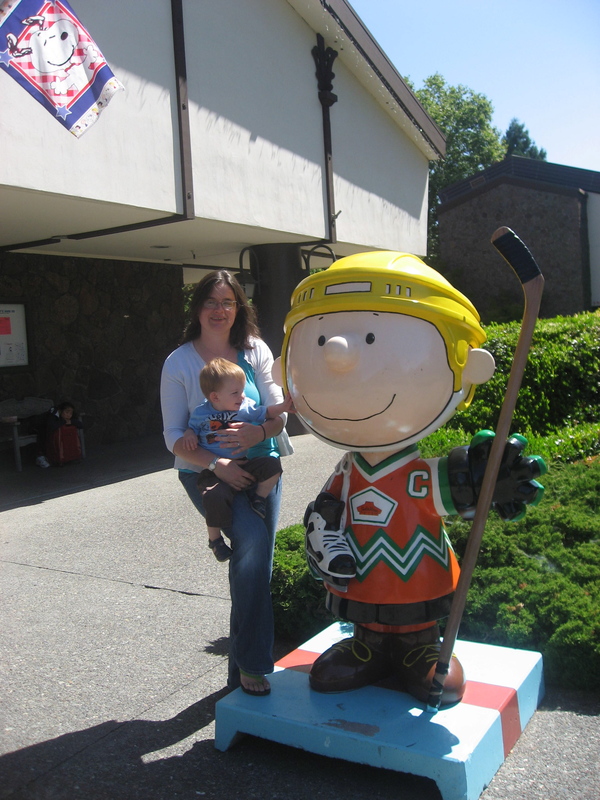 For a second there, I thought Charlie Brown was wearing a Montreal Canadiens hockey jersey.